Always in the zone, yet always smiling. 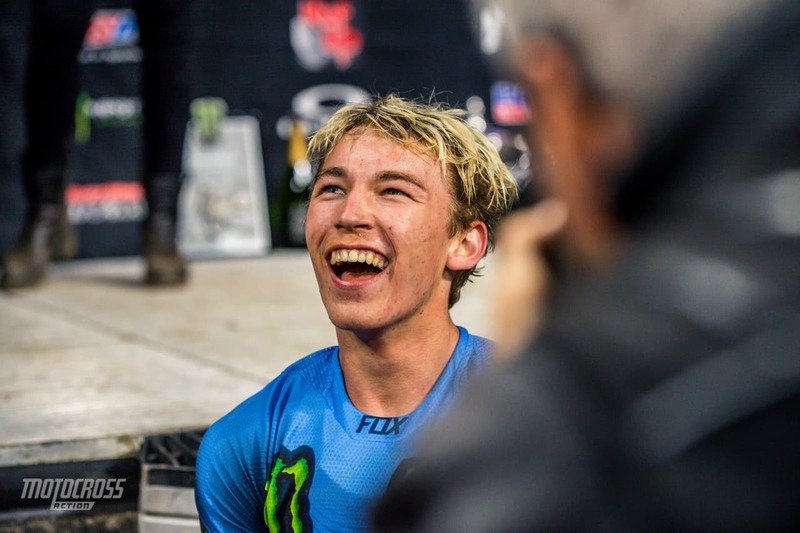 This is Austin Forkner’s second year pro–and he is a contender. The 19 year old Monster Energy/Pro Circuit/Kawasaki KXF250 rider has an ora of confidence, and the win to win at all costs. Has two career 250SX Class podiums and 4 career 250SX Class top-fives in 8 starts. 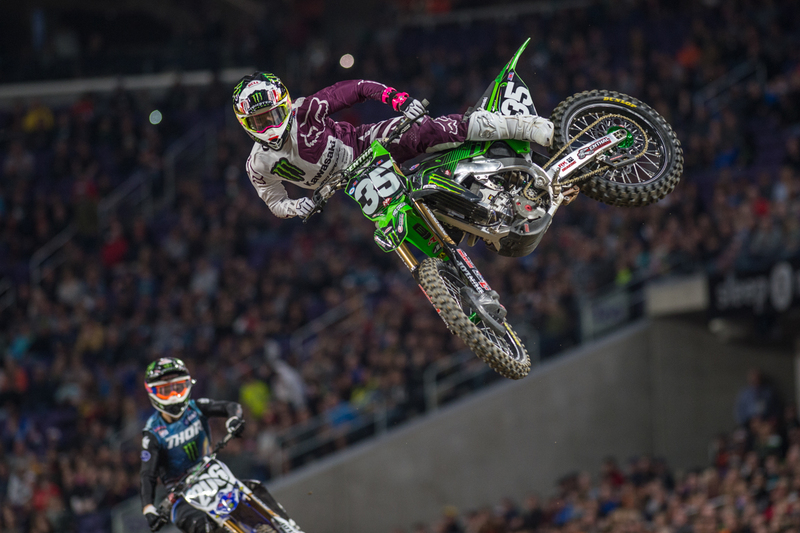 Was the 2015 Monster Energy Cup Amateur All Stars Champion. 2012 & 2013 Monster Energy Cup Supermini Champion. 1 career AMSOIL Arenacross win. 2015 AMA Horizon Award Winner. 6-time AMA Amateur National Motocross Champion. Mentored by five-time Monster Energy Supercross Champion Ricky Carmichael. Considers fellow racer Trey Canard to be his idol. Considered to be one of the most promising young talents in the world. Races for the most successful team in the history of the sport. Austin Forkner is never shy to show his opponents what he’s made of. Thats what out him on the map. He’s won multiple races this season, but fell short of the championship due to injury.